whether it may be family or friends. be left behind and alone. ugliness, as with fungus, cannot be grown. will soon be out of sight. only love will be sewn. can ever be perfect you see. have made our own mistakes. is what forgiveness, and new beginnings takes. and lets build a more loving, and strong connection…………..
Don’t ever be reluctant to show your feelings when you’re happy, give in to it. When you’re not, live with it. 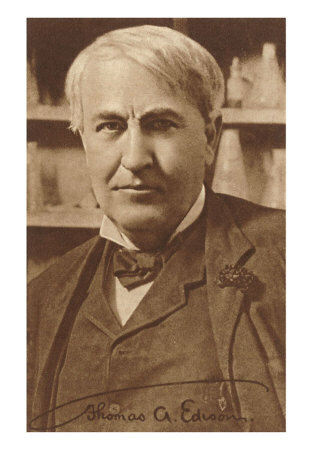 Thomas Edison’s laboratory was virtually destroyed by fire in December, 1914. Although the damage exceeded $2 million, the buildings were only insured for $238,000 because they were made of concrete and thought to be fireproof. He finally found him, calmly watching the scene, his face glowing in the reflection, his white hair blowing in the wind. “My heart ached for him,” said Charles.